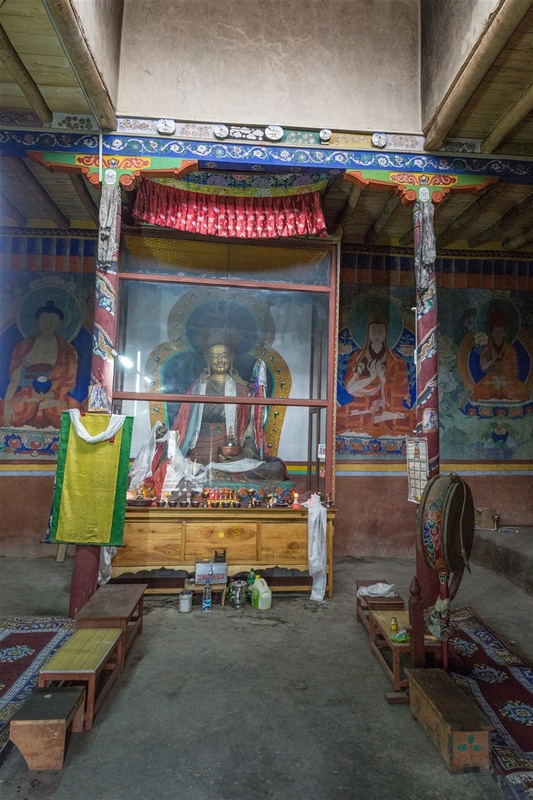 Guru Lakhang is one of four temples that are considered part of the Leh palace complex in Ladakh. 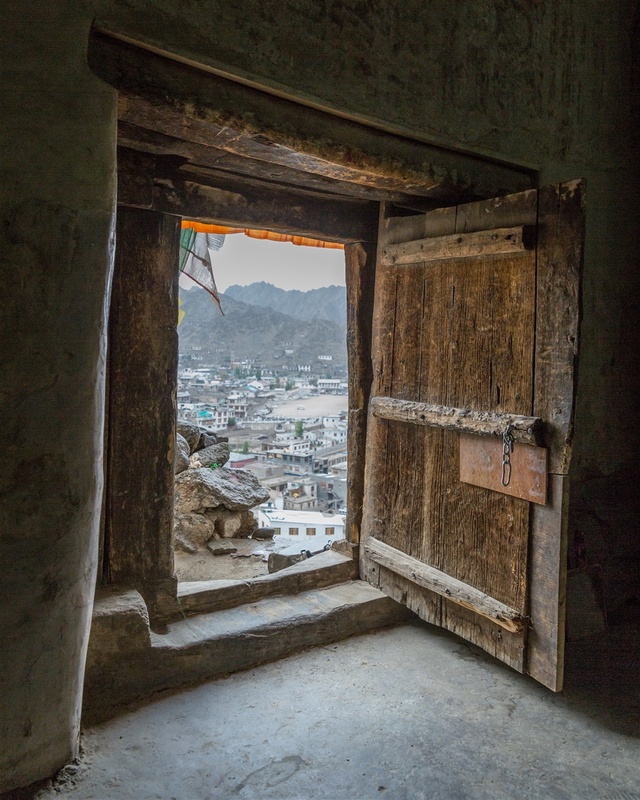 It is probably the hardest to reach on foot, being located immediately below the palace with no easily identifiable path to it from Leh old town. Your best approach is to climb up to the palace and then traverse along a small path that runs directly below the palace itself. This will lead you to a large white chorten at the far end of the ridge, Guru Lakhang is immediately below the chorten. 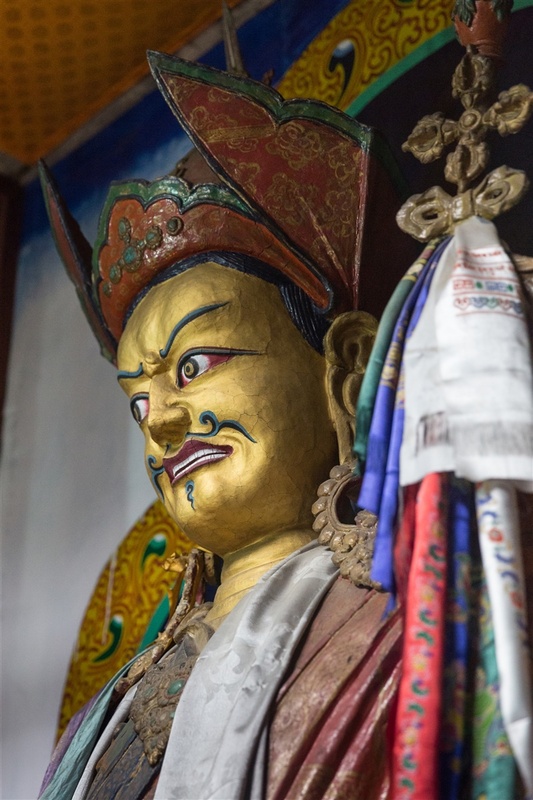 Dedicated to Padmasambhava and restored by the Tibet Heritage Fund in 2005, Guru Lhakhang was built soon after the completion of Leh Palace in the early 17th century. 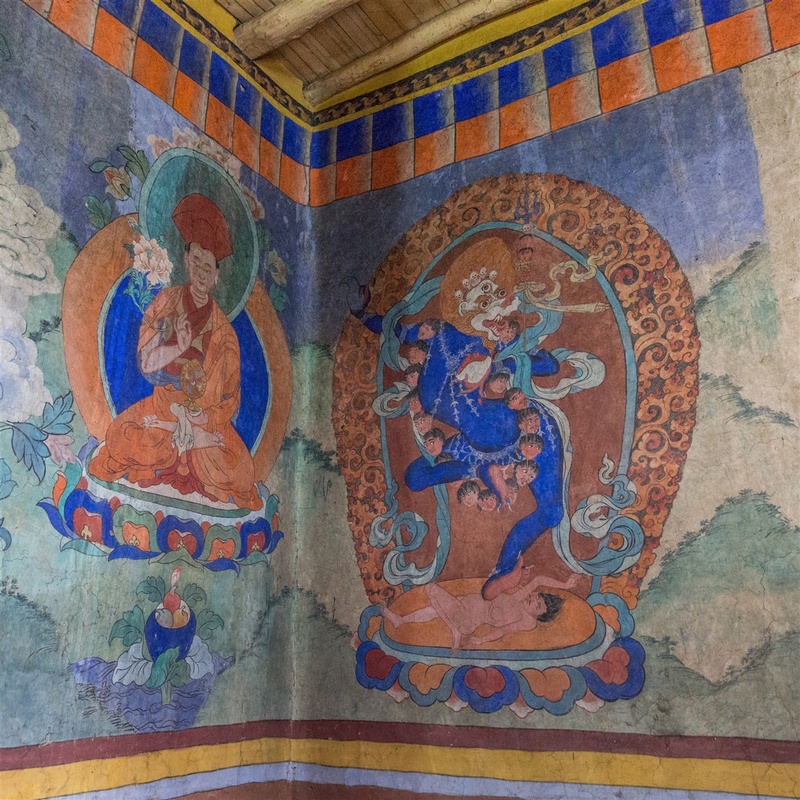 It houses a large statue of Guru Rimpoche and is decorated with some wonderful fading murals. Even if you manage locate the shrine, the chances are it may well be locked. I tried on numerous occasions and almost gave up, but your best strategy is to get there early in the morning (before 8am) and you may be fortunate. I love doors that open up to a world unexpected!